In December, Baltic Aviation Academy, aviation training centre based in Vilnius (Lithuania) received two more student groups at its Ab Initio pilot school. Students started Commercial Pilot License (CPL) and Private Pilot License (PPL) trainings and became the last student groups of 2013. While aviation industry faces high demand for pilots, Baltic Aviation Academy had expanded its training capabilities by purchasing two more Tecnam 2002 aircraft and a Flight Navigation Procedures Trainer in 2013. This expansion allowed Baltic Aviation Academy to have a total of six ATPL Integrated, PPL and CPL student groups to successfully enroll to Ab Initio Pilot School. 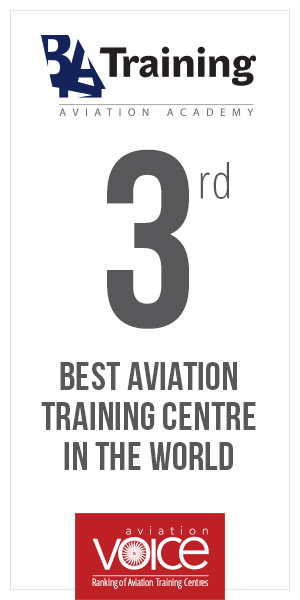 “As the aviation training centre, we understand the global problem of the pilot shortage and we carry responsibility to act in maximum capability preparing as many young pilot professionals as we can. With every student of ours being employed by yet another airline we ought to believe that we fulfill expectation of both aviation industry and people who dream to fly”, comments Egle Vaitkeviciute, the CEO at Baltic Aviation Academy. This August Baltic Aviation Academy released its first CPL graduates from Lithuania, Ukraine, Tadzhikistan and Holland. At the moment Ab Initio Pilot School has more than 80 students taking various pilot training courses. In addition to Ab Initio trainings Baltic Aviation Academy provides Type Rating trainings for such aircraft as Boeing 737 CL, Boeing 737 NG, Boeing 747-400, Boeing 757, Boeing 767, Boeing 777, Saab 340/2000, Airbus A320, Airbus A330/340 and many more. Training course completion certificates issued by Baltic Aviation Academy are valid in the European Union, China, Brazil, Philippines, Ukraine, Kazakhstan, Tajikistan, Belarus and Afghanistan.